But, as a full-time guide who relies on quality roe to connect customers into fish, I don’t always have the luxury of waiting three days for eggs to cure. There are times when I must use roe from a day’s catch the next morning. 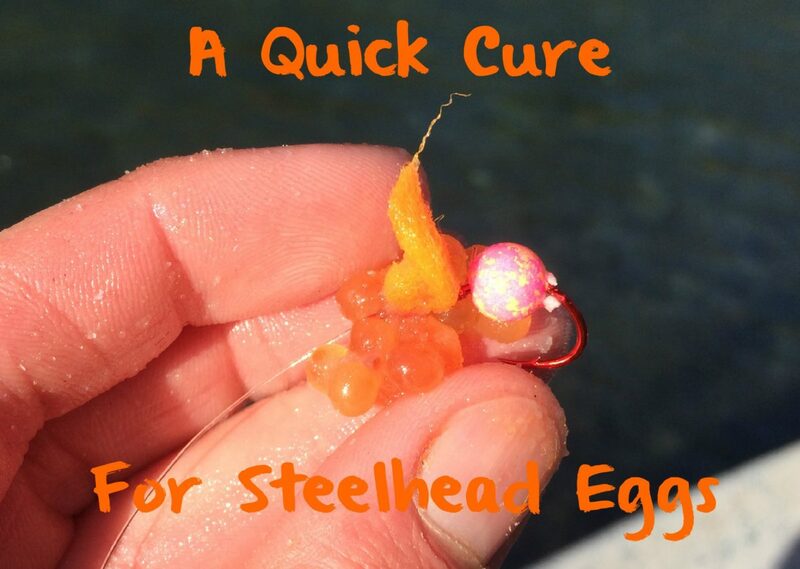 The most effective cure I’ve found that produces roe that is ready to fish in just hours is BorX O Fire. It is effective right out of its bottle, although I add more plain borax to it when I need roe for use the next morning. (Above) Roe cured overnight in a mixture of Pautzke BorX O Fire and plain borax is ready to fish the next morning. By adding addition borax to the BorX O Fire, you eliminate the risk of burning the eggs with too much cure, while also drying the eggs enough to fish after eight to 10 hours. The additional borax also prevents the eggs from hardening too much, something a generous application of cure by itself can cause. To cure properly, and quickly, it is important to butterfly the skeins first. 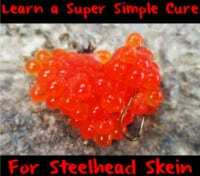 By cutting the skeins into smaller pieces, the cure will reach each individual egg faster. After butterflying the skeins (cutting lengthwise), I cut the skeins into several smaller pieces. This speeds up the cure process. I then smother the pieces of skeins with the mixture of Natural BorX O Fire and borax (half and half). (If you want to use Pink, Orange or Red BorX O Fire that’s fine.) The mixture is very forgiving. It is ok to completely cover the eggs. The eggs and cure mixture are placed in a plastic bag overnight. By morning they are ready to fish, right out of the bag. I cut the skeins into bait-size pieces around the size of a dime. The results of roe cure with BorX O Fire and borax in late December on the Chetco River in Oregon. Editor’s Note: Pautzke pro staffer Andy Martin is a full-time guide based in Brookings. 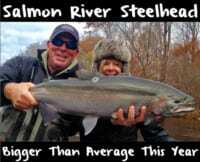 His web sites are wildriversfishing.com and brookingsfishing.com.